Cold Sore Cream - Contains Aciclovir - For the treatment of cold sores. Can be used an tingling stage. Can be used at blistering stage. Numark Cold Sore Cream uses Aciclovir to slow the development of cold sores whilst helping them heal faster. 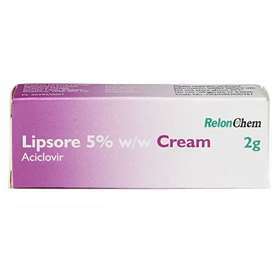 This cream is safe to use on your face and lips for the treatment of herpes simplex. Directions for Use: Do not use if you are allergic to any of the ingredients. Do not use if you have a weakened immune system, HIV, bone marrow transplant or cancer. Apply a thin layer of cream 5 times a day at 4 hour intervals. Use for 5 days, if the sore hasn't healed use for a further 5 days. If the sore has got worse or hasn't healed within 10 days please see your doctor.